This can get stuck in a constant loop that reoccurs every few seconds or minutes, and when this happens something is up with the connection. Fortunately, it’s usually really quick to resolve, and if you find yourself battling connectivity issues with some wireless accessories, here are seven troubleshooting tips to get your Bluetooth device working as intended again with Mac OS X. Do note this is not entirely accurate with all batteries, and some devices seem to inaccurately report levels all the time. A good rule of thumb is that once the indicator goes below 50%, or if you’re experiencing frequent random disconnections, it is a good idea to swap out with a fresh set of full batteries. Because being without a keyboard or mouse is never fun, it’s best to have a second set of rechargeables ready to go nearby. Invest in good rechargeable batteries and you’ll never be without your wireless accessories for more than a few seconds as they get changed. For most connection problems, the problem comes down to the battery life. Swapping out the batteries only takes a second and it’s often the easiest way to regain reliable bluetooth connectivity for keyboards and mice. If you don’t have a set of good rechargeable batteries yet, they are well worth the investment and they end up paying for themselves within about 3-4 recharges. 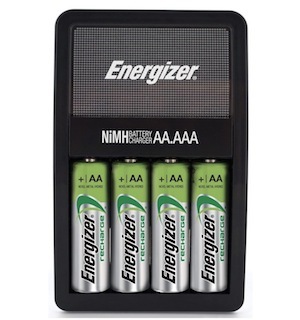 Buy them once and you’ll basically never have to buy batteries again, click here for a decent set of AA that is under $20 , I use the same set on my Apple Wireless Keyboard and they last for months per single charge. The simplest way to power cycle Bluetooth is to pull down the menu, select “Turn Bluetooth Off”, then let it sit for a moment to take effect before going back to the same menu and choosing “Turn Bluetooth On”. This will cause the keyboard/mouse/device to automatically resync with the Mac. Simply turning the Bluetooth device off and on again is often enough to kick it back into gear. For an Apple Wireless Keyboard you can power-cycle it by pressing and holding the power button until the little green light turns off, then press again to turn it back on. The device will automatically connect and you should be good to go. Note: this process happens automatically if you change the devices batteries and it does not need to be repeated in that case. Open System Preferences, go to Bluetooth, and delete the device profile from the preferences list by selecting it, then clicking the little “-” icon in the bottom. Now re-add by clicking the “+” icon, go through the extremely simple setup process, and re-sync the device. This works in the unusual event the preferences or plist has become corrupted. You can quickly reveal any connected Bluetooth devices signal strength through a hidden strength indicator that is accessible through Bluetooth settings. Open System Preferences > Bluetooth, then hold down the “Option” key to show the indicator. More bars is obviously a stronger connection, and if you only have one or two bars visible here then you either have an issue with signal power (and thus, battery), or general interference from other devices. Check for obvious interference from things like microwaves (yes, the kitchen variety) or tons of bluetooth devices next to each other. If you have no obvious interference nearby, go ahead and monitor the connection strength of the Bluetooth device by using the built-in tool described here to determine the signal power, and then make adjustments to the environment and device locations accordingly. If the signal is extremely weak or there is high interference, that could be an issue with something in the environment blocking effective transmission, like large metal walls, fireplaces, appliances, and with weak signals, it can even be a symptom of bad batteries. Thus, we recommend this last, because for 98% of user cases with Bluetooth connectivity issues, the problem is often resolved simply by swapping in a new battery or two. The ability to troubleshoot bluetooth devices connected to iOS is more difficult because there are not the same verbose tools to detect things like interference, but because most problems come down to batteries, simply swap them out, and go through the connection process again to resync the device back to iOS. In nearly all cases, the BT device or external keyboard will then work just fine, whether it’s connected to an iPhone or iPad. Too bad Apple has removed or changed the location of the bluetooth RSSI monitor in Mavericks. So connect a USB mouse and pull down the menu with your USB mouse duh…. useless comment. Since you can’t spell come on or dumb you might want to go buy a PC. You are their perfect customer. well, seeing as the song would be “dum de dum” and not “dumb de dumb” (as in the Dragnet song) I’d say you just made yourself lose face. If i ever see you in public, I’ll slap you upside the head with a fresh salmon. asking someone to use a USB mouse, when apple clearly does NOT have these, and haven’t for quite some time, illustrates that you are indeed a PC troll who is on here making mischief and being a general hooligan just out of spite. seeing as this is the internet, and it’s unlikely we will recognize each other… can I ask you to mail me a loaner mouse wit a cord, i’ll do what i need and send it back to you in the enclosed, self-address, stamped box? OS X Yosemite has many problems with Bluetooth devices and Wi-Fi, who made this thing? Bluetooth is an ECMA standard, primarily based on the Ericsson proposal. The standard has a number of “profiles” that defines the set of “objects” that can be passed between the devices. A “keyboard” has a couple of profiles, and a “headset” more. The radio technology is very different to WLAN – but uses the same RF range: 2.4GHz. All BT devices will send a “sense” command and get a response, to verify that the device is still connected – and based on the signal strength of these “beats”, the strength will be adjusted, so it will not waste energy – being close will increase battery life, and move away, and the signal will be raised. Then the carrier band is frequency hopping from DECT (ITU-T). The 2.4GHz band is divided into about 50 “slots” that can be used. When the devices “pair” they sync on the frequency that will after this, change all the time and use all available frequencies. Before transmitting, the sender will listen if the frequency is used, and skip to the next if this is the case. Likewise the receiver will listen at one frequency and if nothing comes here, jump to the next. The “beat” will remain on the baseband. Because of this jumping around, you can have hundreds of BT devices lying around, and all can be used without interference – you can have 50 people in your living room with headsets on, and still play music on your BT speakers (at around 150 it stops). WiFi is US and IEEE / Popular Mechanics standard, bear in mind that CDMA is in “RFC” – class in the ITU because the nobody wants to lock it down. This divides the same frequency band into “channels”, and there are norms for emissions – signal strength that is set by the FCC for common good. My WLAN router use two channels for so call 40Mbps capacity – but I never measure more than 4 – but it works, as long as my neighbour stays away from my channel / channels. If you have good neighbours, you can get this working day out and in – it is simple and robust. But within the same room and 14 channels, CDMA does not support more than 2-5 and certainly cannot be used for streaming, you can support in the best case 30 devices in an area of 1000 feet, all adjacent rooms and houses and buildings included. This is good training for peace negotiators. The 5GHz band is used by Microwave ovens and WLAN radiation and will not go through dense material such as glass – but pass paper and wooden walls. So, BT is a standard that Apple cannot do a thing about, nor can be blamed for – except if the headset works perfectly on your Android phone and your MacBook has a problem – then Apple has not implemented the full “profile” or is late at servicing the signals needed to keep the sound streaming. Ok, thanks for the background information, Knuth. All I can say is that with OS X 10.9 I never had any problem. Since OS X 10.10 the trackpad randomly looses connection with my Mac or the connection fails after standby wakeup. Sometimes turning off/on the trackpad helps, sometimes not. Sometimes turning off/on Bluetooth helps, sometimes not. Sometimes disconnecting a USB-device helps, but not always. The only thing that consistently helps is fully restarting the Mac. So – only Apple products are involved, and it worked fine before with Mavericks. The only conclusion is that Apple messed things up with Yosemite. And I am losing a lot of time and productivity with this silly issue. Does not appear at System Report – hardware -Bluetooth -No information found. It’s crazy! I don’t even know what else to do! Try resetting the SMC and see if Bluetooth reappears. NONE of these suggestions worked for me, and I have tried most of them several times, including: removing/adding the device (nope), turning the keyboard on and off (nope), changing the batteries (nope). The ONLY thing that works is restarting my laptop, ad nauseum. I am using a generic brand wireless keyboard, so perhaps some of the options do not work for me (for example, I get no data for battery level or monitor connection). However, the batteries are fresh and I live in a rural area so not sure what other connections could be interfering? VERY FRUSTRATING. As a last resort, I have tried putting a piece of tin foil in the battery compartment in case loose batteries is the culprit – a tip I found from another forum. I doubt it will work but who knows? I just wish somebody knew what the @#$@! problem is. i too was losing hope after 3 years of my bluetooth wacom tablet constantly disconnecting and requiring a restart. the wifi on your mac is interfering with the bluetooth. what you do is turn off wifi, then try reconnecting with the bluetooth device. sometimes you have to turn wifi back on before it will pair. but it always works, no restart required. This worked for me. I turned the wifi off and had to turn it back on before the bluetooth would pair, which is confusing… but it wouldn’t work with the wifi just turned off. Thank you, finally something that works. I’m so tired of rebooting and restarting and re-pairing. If you’re experiencing conflicting wi-fi and bluetooth you should change your wi-fi spectrum or channel, this should not happen. Also, update OS X, there were bugs with OS X Yosemite that caused all sorts of messes with wi-fi and bluetooth that existed basically until 10.10.5 release. Meanwhile, networking OS X Mavericks is good, and OS X El Capitan is good too. OMG, I have been searching for an answer to this problem for over an hour and this was it, buried on this board. THANK YOU FOR THIS! It should be the first thing that comes up in a google search! I have the same issue, but my Mac is connected with ethernet in my office, so WiFi is never on. I have a Mac Mini, Mac mouse and Mac keyboard. Clearly an Apple issue. Has anyone found a solution for this? In my case the only solution was to change wifi to 5 GHz. No keyboard works with no problems. The REAL way to fix when your Bluetooth setting randomly switchs off, pluse, your computer won’t recognize your wired keyboard & mouse, essentially locking you out of your computer, is to zap the PRAM. I know, supposedly this old fix doesn’t apply these days, but it sets things right for me every time this happens. Plug in your corded keyboard & mouse, use the button on the front of your computer (desktop) to shut your computer down, wait 10 seconds, and turn your computer on while holding down the command+option+P & R buttons all down simultaneously. Don’t let go until you heard the second start-up chime. This has worked for me every time…good luck! I found disabling DEP (Data Execution Prevention), with bcdedit /set nx alwaysoff, solved my Bluetooth related errors for NIC losing DNS connection. AirDrop sharing in the Finder. Is there a way to access the real time graph indicated in step 7 in Yosemite? It’s not accessible via the instructions linked in step 7, no gear appears when option-clicking the BT connected device. Where did you find the gear or BT RSSI monitor in Yosemite? @iht, any suggestions on how to access the bluetooth connection strength graph in Mac OS Yosemite? Any guidance is greatly appreciated! The noise generated due to the USB 3.0 data spectrum can have an impact on radio receivers whose antenna is placed close to a USB 3.0 device and/or USB 3.0 connector. The noise is a broadband noise that cannot be filtered out, since it falls within the band of operation of the wireless device (2.4–2.5 GHz). The noise degrades the signal-to-noise ratio that the wireless receiver sees and limits its sensitivity. This then reduces the operating wireless range of the device. Improving the shielding on the USB 3.0 receptacle connector can help reduce the amount of noise radiated due to USB 3.0 signaling. In addition, shielding of the USB 3.0 peripheral device plays an important role in reducing the amount of noise radiated in the 2.4–2.5 GHz range. This is particularly critical for peripheral devices that are placed close to the PC platform, such as a flash drive. Placement of the wireless antenna should also be carefully considered on a platform and be located as far away as possible from a USB 3.0 connector and/or device. Cant delete bluetooth devices as I don’t have the + and – referred to? I had really weird behaviors were my keyboard and mouse said they were connected after pairing. But nothing worked. Restarting the bluetooth on the computer seem to have magically solved it. I wish that resetting the PRAM worked for my Bluetooth issue, I will randomly, sometimes twice within 24 hours, sometimes not for two weeks or more, have Bluetooth almost die… I can move the cursor with the mouse OR the trackpad, but I cannot click anything onscreen and the (wired, USB) keyboard will not respond, so my only choice is to hit the power button and shut off the iMac (late 2009). Has been going on since Mountain Lion. Any suggestions? Hackintosh here, had bluetooth problems that were caused by the blu-tooth adaptor not getting enough power from the motherboard, I had reversed the USB power cable. I was able to figure this out by doing holding the option key and then clicking on the blu-tooth icon. that showed me the power of my devices. b4 it was -86 db after correcting the power it went to -65db and blu tooth now works correctly. I know this is a rather old thread, but I might be able to provide help to someone. If you have a Bluetooth device (keyboard,mouse) also paired with an IPad or IPhone or anything else, keep those items away from the computer. The Bluetooth can connect to those and become “invisible” when the computer boots and tries to connect. I had bluetooth randomly connect and disconnect on my MAC. My android phone bluetooth was causing the problem when the phone was near the computer. I had bluetooth randomly connect and disconnect on my MAC. My android phone bluetooth was causing the problem when the phone was near the computer. Keep Android phones away from the computer if the phone bluetooth is on. I kept disconnecting from my bluetooth keyboard and I changed the battery and it kept disconnecting than I received a pop up saying my laptop was low on charge and to plug it in, as soon as I plugged in the charger to my laptop keyboard started working fine.